What is a priority and why is it useful to prioritize in life? A priority is a task of great importance that a person wants to complete. Due to the abundance of tasks required to accomplish an absolute life, prioritizing is useful to obtain success and allows a person to continuously regard their desired path. 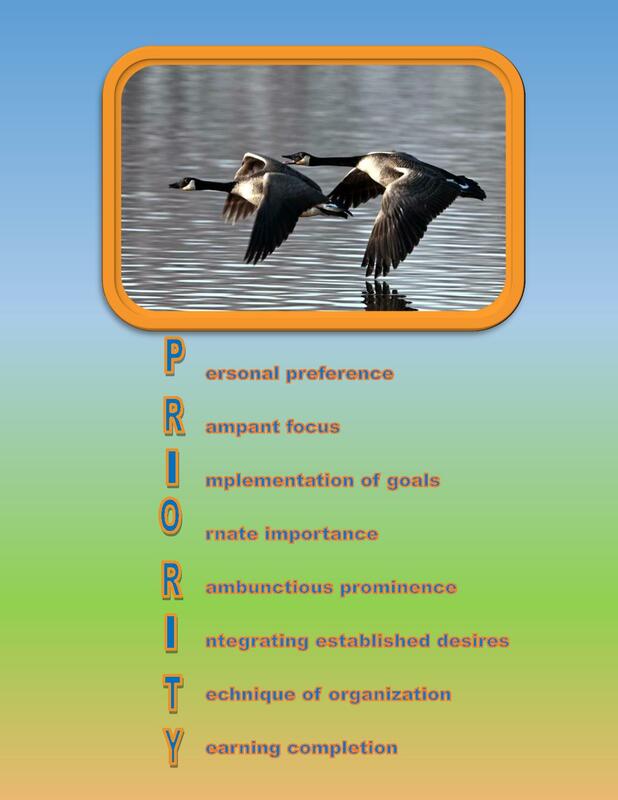 A priority is individually determined because personal preferences are required to establish the goal. When a priority is authorized, a rampant focus on the task ignites to ensure the implementation of goals. An obligation to completion motivates a person to pursue success. A priority is of ornate importance among a list of tasks to accomplish. Completion of one task could affect the outcome of the accomplishment. A priority holds a rambunctious prominence when integrating established desires to develop success. Prioritizing can be a unique technique of organization that is beneficial when one is yearning for completion. Many responsibilities are required in life, but some will take precedence, after considering the options. Explore all your options, determine your goals and prioritize to succeed on your desired path. Respect your dreams, realize your capabilities and pursue a goal for you. Make yourself a priority and indulge in the successes you achieve.